The application period for the 2019 IMAGINE Grant is now closed. Learn about the 2019 recipients. Here at Campbell Scientific, we recognize that accurate measurements are key to scientific research and to the development and application of technology. From the beginning, we have been an advocate of high measurement quality, as demonstrated by our product engineering and customer support. As part of our focus on making good measurements, we are pleased to sponsor the Campbell Scientific IMAGINE Grant, a grant program created to provide quality measurement instruments for use in graduate or undergraduate coursework. The objective of the IMAGINE Grant is to provide instruments for the education of students in hands-on, interactive classes that focus on teaching about sensors, instruments, and how measurements are made. The program guidelines can be found below. View the list of eligible products. The Campbell Scientific IMAGINE Grant is open to undergraduate and graduate programs in the United States. 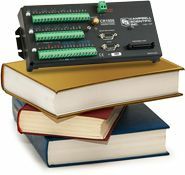 Equipment, including software, supplied under the grant is to remain on campus with use limited to teaching purposes, not research. In 2019, a total of up to $60,000 will be awarded, at the sole discretion of Campbell Scientific, Inc., to one or more IMAGINE Grant applicants. Campbell Scientific will grant up to 80% of the total eligible equipment cost. NOTE: Only items manufactured at Campbell Scientific are eligible. View the list of eligible equipment. Grants will be applied as credit to purchase. The recipient will not receive a monetary award but will receive equipment as outlined in the application. Successful recipients will be notified by April 15, 2019. Purchase orders must be received no later than June 28, 2019. Applicants must list the measurement and instrumentation courses for which the grant equipment will be used, and estimate the number of students participating in the courses for the next 5 years. They must also demonstrate current level of knowledge of (or experience with) Campbell Scientific hardware and software, or show commitment to attend Campbell Scientific training. Additional consideration is given to programs providing Campbell Scientific with access to equipment and laboratory for one week per year to hold an independent training course. Subscribe to receive email notifications about the IMAGINE Grant.